Henry Viccellio Jr. was born on 4 August 1940 in San Francisco, CA. Viccellio graduated from the U.S. Air Force Academy in 1962. He then attended pilot training at Webb AFB, TX, and received his pilot wings in September 1963. From October 1963 to June 1964, he attended F-100 Super Sabre combat crew training at Luke AFB, AZ. He flew the F-100 with the 309th Tactical Fighter Squadron at Homestead AFB, FL, from June 1964 to October 1965. In October he began a one-year tour as an A-1E Skyraider pilot with the 602nd Fighter Squadron at Udorn Royal Thai AFB, Thailand. The next two years were spent as an Olmsted Scholar at the National Autonomous University of Mexico, in Mexico City. In October 1968, he attended American University in Washington, DC, where he graduated in June 1969 with a Master of Arts degree in Latin American Studies. From June 1969 to August 1970, he was part of the Air Staff Training Program, Staff Officer, Directorate of Concepts and Doctrine at U.S. Air Force Headquarters, Washington, DC. He was then a F-4D Phantom II Maintenance Officer for the 7th Tactical Fighter Squadron at Holloman AFB, NM, until November 1971. He was then transferred to the 36th Tactical Fighter Squadron at Osan Air Base, South Korea, as an F-4D Flight Commander. In January 1973 he became a student at the Armed Forces Staff College in Norfolk, VA. Graduating six months later, he became a Liaison Officer to the U.S. Senate until October 1975. From November 1975 to April 1976, he was the Chief, Standardization and Evaluation Division, 33rd Tactical Fighter Wing, Eglin AFB, FL. 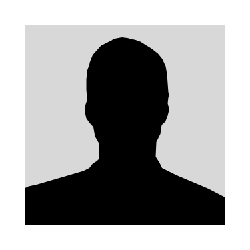 He spent the period April-November 1976 he as Operations Officer of the 59th Tactical Fighter Squadron at Eglin. In 1977 he became the Commander of the Squadron. He next served as Assistant Deputy Commander for Operations for the 33rd. 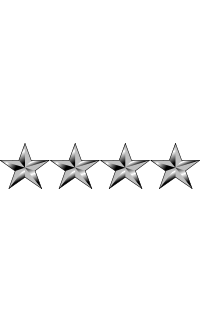 From November 1977 until March 1981, he was Chief, Rated Officer Career Management Branch, Air Force Manpower and Personnel Center at Randolph AFB, TX. He then became Vice Commander of the 507th Tactical Air Control Wing at Shaw AFB, SC, for the next six months. From October 1981 to March 1983, he was the Vice Commander, and later, Commander, of the 56th Tactical Training Wing at MacDill AFB, FL. He then became Commander of the 1st Tactical Fighter Wing at Langley AFB, VA, from March 1983 to June 1985. He was Vice Commander of the San Antonio Air Logistics Center at Kelly AFB, TX, from June 1985 to September 1986. He then became Deputy Chief of Staff for Logistics at Tactical Air Command Headquarters, Langley, until April 1989. From May-September 1989, Viccellio was Vice Commander of the Tactical Air Command. From October 1989 to February 1991, he was the Deputy Chief of Staff for Logistics and Engineering, U.S. Air Force Headquarters, Washington, DC. After spending three months as Deputy Chief of Staff for Logistics for the Air Force, he became Director of the Joint Staff in Washington until December 1992. General Viccellio retired from the Air Force on 1 June 1997. During his service, he became a Command Pilot with over 3,000 flying hours. 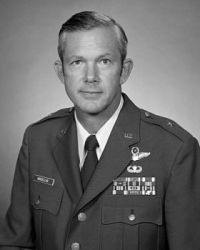 General Viccellio is the son of Air Force Lieutenant General Henry Viccellio Sr., Commander of the Continental Air Command from 1 August 1966 - 1 August 1968. His son is stage actor Benjamin Viccellio.